Took me 5 attempts before I saved the Earth, but I did it! Nice work. Thanks for all the comments. I really appreciate it. I think I found a way of putting it on autopilot. 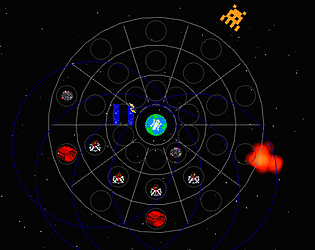 If you surround the inner earth with 50 point towers (the ones that shoot at the bottom of the toolbar) then you run out of money, but then you don't have to press anything or buy anything to survive as it provides enough coverage to shoot everything. I've been locked in a stalemate with the boss for ages now. Great music and love the alien graphics. I have saved the Earth! 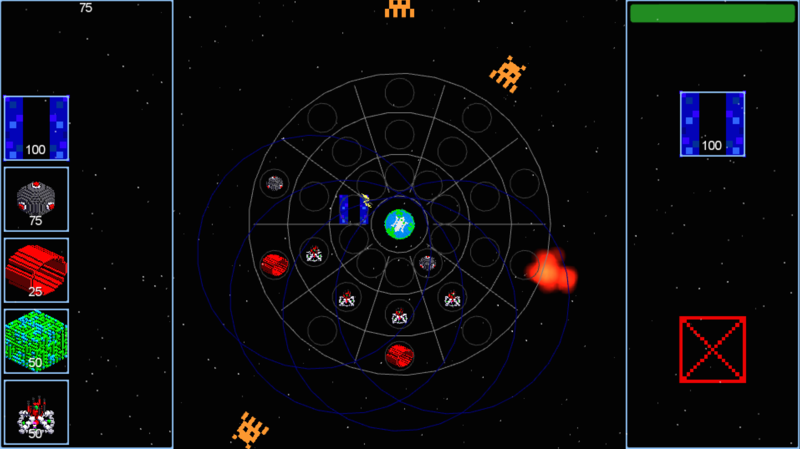 Radial layout works really well, especially liked that the boss had a different pattern and different music. Really fun game, good job! I like the energy collecting, makes the game fast and fun. Very nice and very fun! Atmosphere (Or lack thereof because of space and whatnot) is great! Fun! Hooked me so I had to finish it. Music worked well with it, really fit and added to the game. Thanks. I've been wanting to do the radial layout for awhile. Woah, this got stressful fast. Having to collect energy manually makes this game quite frantic in later stages when you are hurting for energy! 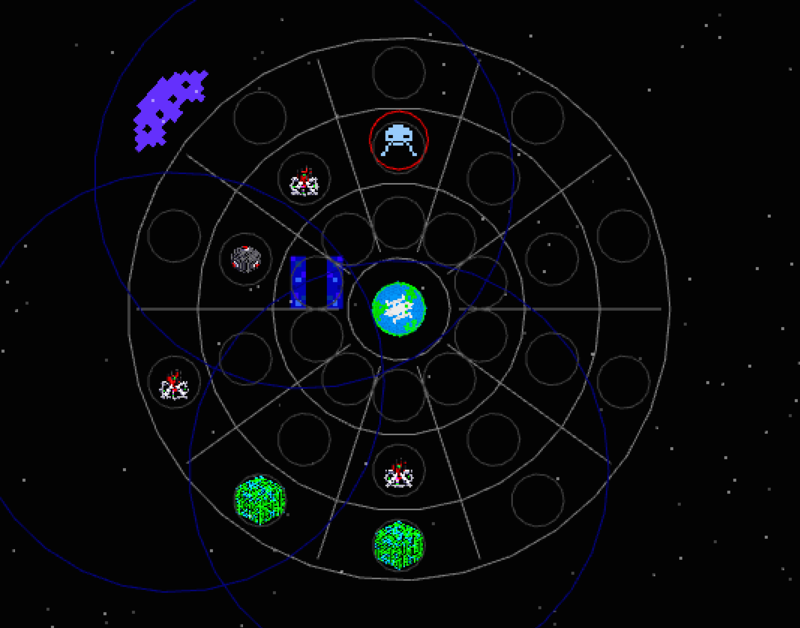 The radial layout of things is a very cool take on the classic path based TD genre. Nice. He was asking for it.